Mopar celebrates its 80th birthday on Aug. 1. From humble beginnings as a name for engine anti-freeze, the Mopar brand has come a long way and shows no signs of slowing down as it rolls past 80 years on the history odometer. Today, the Mopar name works harder than ever — delivering high-quality service, parts and customer care for FCA vehicle brands and owners across the globe. Mopar reaches more than 150 markets, offers a portfolio of more than 500,000 products, taps into a network of more than 50 parts distribution centers around the world and welcomes almost 3 million visitors per year to the brand’s online Mopar Owner Center. Aug. 1, 1937, is when the Chrysler Corp. introduced its ethylene-glycol-based anti-freeze under the Mopar name – a contraction of the words Motor and Parts. Two years later the company would trademark the Mopar name as the portfolio of parts grew rapidly. That growth spurred the opening in 1953 of the Mopar Parts Depot near Detroit in Center Line, Michigan, which today still serves as the spiritual hub for Mopar, shipping more than 16.5 million parts a year. Mopar’s performance heritage roared to life in the 1960s. Trailblazers including a group of engineers calling themselves the Ramchargers and NHRA icon “Big Daddy” Don Garlits push the speed envelope on the strip and cement the brand’s reputation for success at the track. The HEMI® engine also dominates in muscle cars on the street as passionate enthusiasts and owners begin to refer to any Dodge, Chrysler or Plymouth vehicle as a “Mopar” car, giving the brand name recognition unlike any other service and parts organization. As electronics take on a larger role in engine and vehicle performance, Mopar boosts its emphasis on customer care and technician training. The Mopar College Automotive Program (CAP) is launched, partnering with community colleges and dealerships on a two-year education/internship to train the next generation of service technicians. Mopar has equipped service technicians with advanced technology, such as the wiTECH wireless diagnostic system, to help repair vehicles faster and right the first time. 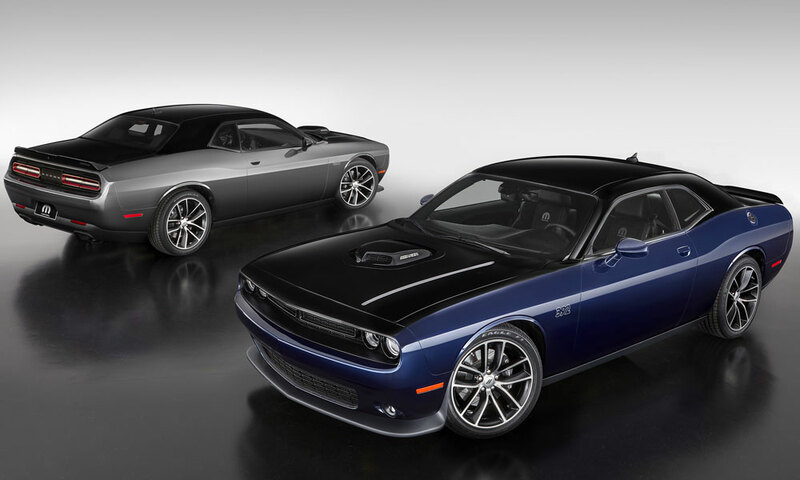 The growth of hand-held wireless devices helps Mopar, through a series of vehicle-information apps, open a new channel of communication with owners. In 2008, Mopar launches its quick, convenient Express Lane service in dealerships, offering easy access to critical service needs such as oil changes and vehicle inspections. Mopar Express Lane has rapidly expanded to encompass more than 1,750 outlets in operation in more than 20 countries. From that single line of anti-freeze, Mopar’s parts portfolio now runs the spectrum from basic maintenance items to performance parts for Jeep®, Dodge, Chrysler, Ram and FIAT vehicles, to Magneti Marelli brand parts for a wide range of non-FCA vehicles. Mopar and its partners also service enthusiasts looking to restore classic vehicles or add a modern touch, such as the recently introduced Crate HEMI Engine kits. The drag strip continues to be the home of HEMI and Mopar racing technology, with the Dodge Challenger R/T Funny Cars of the Don Schumacher Racing stable dominating the NHRA class. Mopar-backed driver Matt Hagan is running a special 80thAnniversary paint scheme on his car.